I know dirty hair. As in, greasy, funky, frizzy dirty hair. I went for a whole week without shampoo when I volunteered for this dirty hair challenge. I wasn’t even allowed to rinse my hair over the sink (OK, I sorta did on one of the days, I just couldn’t stand it.) So when people talk greasy hair, I totally get it. Too bad I found out AFTER the dare that greasy hair is good for one thing, at least. It’s amazing for creating trendy hairstyles. That’s because when your hair is dirty, it’s able to hold a style much better and longer than when it’s clean. Then to make matters worse and rub salt into my wound, I came across this gorgeous gallery of dirty hair hairstyles. Some of them are never-before-seen looks, while others just put a really cool spin on some dirty hair classics, like the braid and bun. Um, hello, where were these styles when I wasn’t allowed to wash my hair for an entire week? 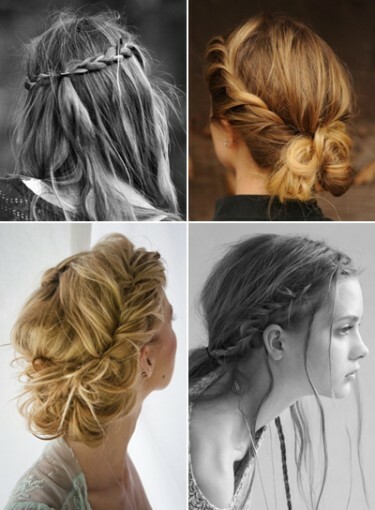 Click here to see all the cute hairstyles to try.